Nineteen of our CVFR juniors made the journey to the Clough Head Juniors Fell Race this weekend in Keswick. 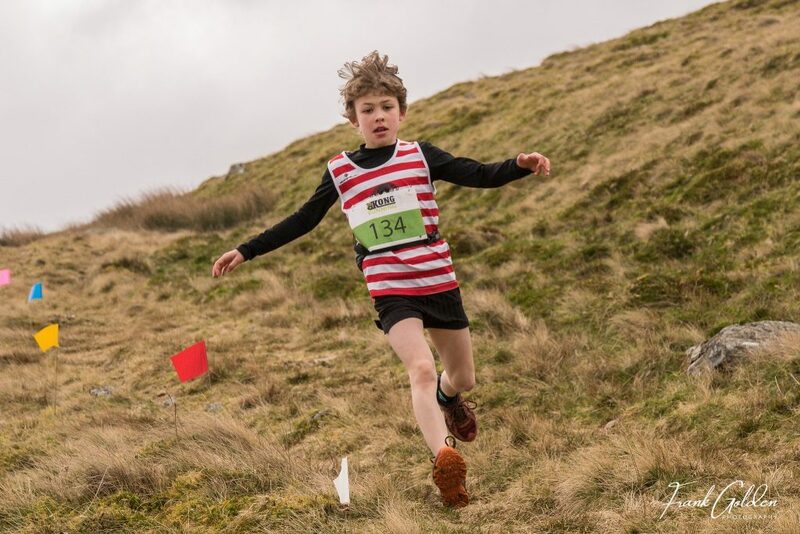 The race being the first of the six FRA English Junior Fell Running Championship races meant that each field contained the highest calibre runners. Yet again the juniors did us proud in all races. The races had the backdrop of the most stunning Lakeland scenery up above the old Threlkeld quarry and our runners were blessed with a clear and dry day. There was a pretty brutal climb in the U9 race to enable it to be kept within the maximum1km race distance but our runners coped with it well. Our two youngest runners, Georgie Illstone and Charlotte Cliff (whose 6thbirthday was the day of the race meaning she qualified to run) both crossed the line with beaming smiles. Georgie pipped Charlotte by two seconds, with them finishing 7thand 8thgirl respectively. Potential for some good healthy rivalry between these two going forward. In the same race, Charlotte’s brother Harry stretched out a good lead at the top of the climb and then descended well to take the victory by some 26 seconds. All four of our runners in the 1.7km U11 race finished in the top half of a 62 strong field. Joseph Stone continued his fabulous recent form since moving up an age category, finishing 10th overall. This effort was even more impressive considering he suffered an army roll fall down the hill injuring his knee. Clara McKee, another runner who has just moved up from the U9s, flew down the hill with her usual purposeful yet graceful style to claim 2nd overall and first girl; a good minute ahead of the secondplace girl. At one point she even looked like she was going to claim overall victory. Sam Annison and Ted Parker also competed well coming 13th and 28threspectively. The U15 3.6km race saw Alex Duffield finishing 19thout of a field of 64. Tom Owen was 28th(another one with a strong sprint finish), Leo Illstone 39th, Emelia Wright 54thand Evelyn Illstone 61st.